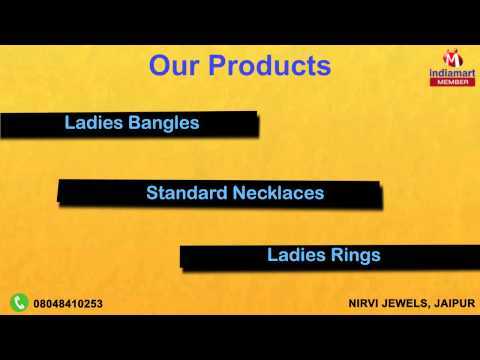 Welcome to Nirvi Jewels, established in the year 2015, we are a leading manufacturer and supplier of Designer Jewelry. Our range of products, which caters to small and big accessory requirements, includes Designer Bangles, Standard Necklaces, Casual Rings and many more offers. Our range is designed by combining high fashion with traditional influences and modern techniques. Offered jewelry items are available with in various sizes, shapes, designs and patterns, so as to suit the varied requirements of clients. Further, our entire collection is highly appreciated among the clients for its beautiful designs, lustrous finish and intricate patterns. Further, our sets are best suited to be worn on marriages and other formal occasions. The luxurious appearance of each set is praiseworthy. Further, customers can easily avail our astonishing collection of jewelry at attractive prices.